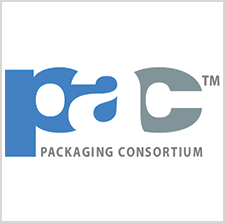 La Crosse, Wis. – PAC, Packaging Consortium has awarded Inland two Silvers in the 2016 Global Leadership Awards. Their annual awards competition showcases leadership in new brand packages, brand revitalization, and packaging innovation. Inland was awarded a Silver Award on their Packaging Innovation submission for New Belgium Brewing’s Long Table Farmhouse Ale. The labels, which were printed by Inland, featured collated printing to randomize the label for their “Grab a Seat” slogan. The finished labels included 7 different designs featuring a variety of farmhouse chairs. Inland was also recognized for their partnership on Molson Canadian 67 Session IPA. This entry, which was submitted by Molson Coors Brewing Company, won a Silver Award in the Brand Marketing – New Brand, Food & Beverage Category. Inland was the print supplier for the brand’s glass bottle body and neck labels. The PAC Global Leadership Awards are an industry-based, peer recognition for excellence in all formats of packaging, in branding and graphic design, in technical aspects and in sustainability. PAC Awards are the longest running all container inclusive competition in North America. This year’s Global Leadership Awards were presented at the Package Design Matters Conference in Bonita Springs, Florida on January 21st. This year was the first year PAC partnered with Package Design Magazine to host the Global Leadership Awards Gala.